Lantern Lane Farm is a 501(c)(3) non-profit counseling center located just outside of Nashville, Tennessee. Therapists and counselors on staff use multidisciplinary approaches to provide services in our private, tranquil farm setting. Bill is retired from his position as Assistant Vice President of Solutions Development at HCA Information Systems, where he worked for 19 years. He has served on the board of Lantern Lane Farm for the past four years, and currently serves on a board for another organization as well. Bill feels a deep responsiblity to serve others at this stage of his life. He has lived in the Nashville area most of his life, except during his three years of military service. Bill is married to his lovely wife, Angela, and together they have 4 children and 5 grandchildren. He enjoys being with family, playing music, scuba diving and traveling. Joni grew up in Michigan on a blueberry farm, which is where she learned a good work ethic from her parents. Joni has a BS degree from Liberty University. Upon graduation from college, Joni worked for the university as a dorm supervisor and took masters level classes in education. Joni served alongside her husband Ralph in 3 different churches while helping raise their two sons and working as a land developer and realtor. Ralph and Joni began Lantern Lane Farm in 2004, which became a non-profit entity in 2008. They have two grown sons, who are both married, and five grandchildren who they adore. Currently, Joni enjoys serving as the Director of Business Development at Lantern Lane Farm, Inc. and loves spending time with family. Mary is retired from HCA, where she worked for 32 years with a history in Nursing and Information Technology. She’s lived in the Nashville area since 1966 and is blessed with 2 children and 4 grandchildren. In addition to serving on the board at Lantern Lane Farm, Mary also serves us as a volunteer, helping to make clients feel welcome. Mary enjoys activities that contribute to her overall interest in the human condition and spending time with family, friends, gardening, and reading. Monica joined Lantern Lane Farm’s board of directors in 2018. 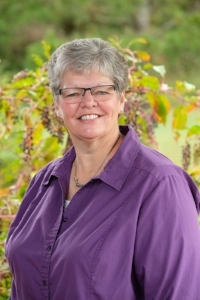 Janice joined Lantern Lane Farm’s board of directors in 2018. If you have a heart to serve and are interested in learning more about volunteer opportunities or Lantern Lane Farm’s board of directors, please email us at info@lanternlanefarm.org.